— Kathy and Roy, SW Portland. “Charlton Kennels was recommended by a behavioral vet for my rescue dog Olive. My dog has many challenges – she is anxious, aggressive and untrusting of others – and finding people to care for her during our trips out of town was challenging. She has been staying at Charlton Kennels regularly over the past four or so years, and I cannot say enough wonderful things about the facility and staff. She is very well taken care of, and seems to love going there – she anxiously pulls me through the door each time we arrive! She has become very comfortable there – she takes treats from various staff members, allows Bill to pet her in the run when he’s cleaning, and seems in great spirits every time I pick her up. Finding Charlton Kennels has been a godsend – I cannot imagine where else we could take a dog like Olive without worrying about her safety. I highly recommend Charlton Kennels for all types of dogs, including those who, like Olive, have special challenges! " 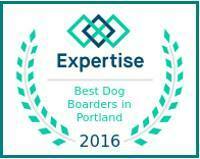 Forrest Kolb sent us an award! Thank you, Forrest! 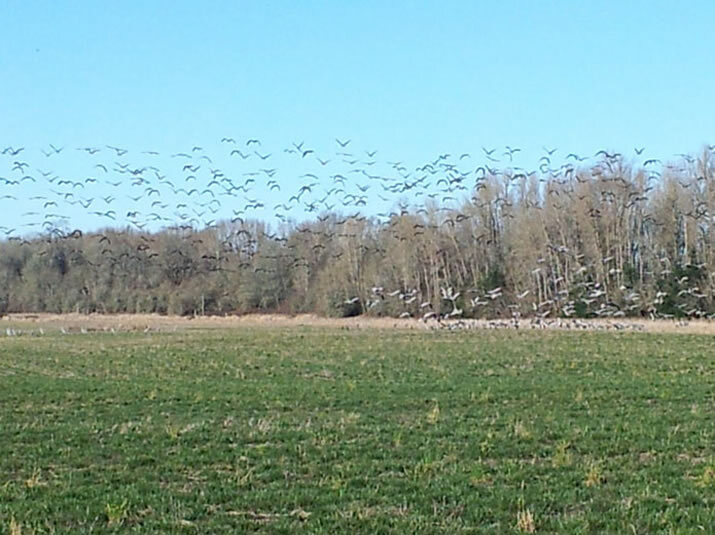 Thousands of geese and sandhill cranes lift off from one of the farm fields.